Founded in 1938, with over 300 licensed and generic products, Dulcop is the largest manufacturer of soap bubbles and bubble toys in Europe. Production and logistics cover an area of over 10.000 sqm. The efforts of Dulcop are directed to a process of continuous improvement with the aim to provide a flexible but reliable service, suitable to the ever-growing needs of modern retail. 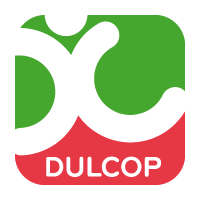 Dulcop products are present in over 50 Countries.